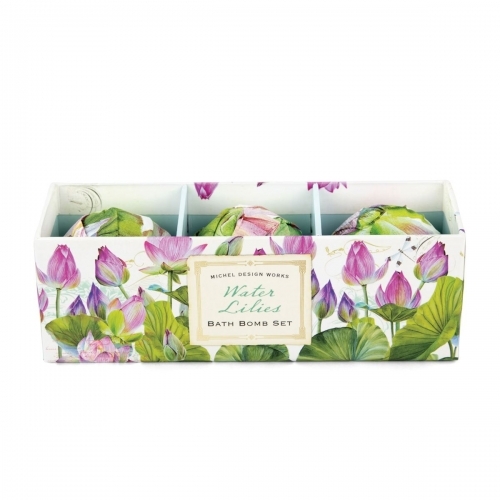 Water Lilies Bath Bomb Set Shop the largest selection of Michel Design Works bath bombs - Water Lilies Collection. Plus enjoy free ground shipping on all US orders over $50. Directions for a luxurious bath: Fill tub. Drop in bath bomb. Allow ingredients to effervesce, releasing essential oils into the water and a delicate scent into the air. ?Small Bath Bombs Sets are wonderful as gifts.